Poached Pears with Caramel Sauce is an easy slow cooker dessert! 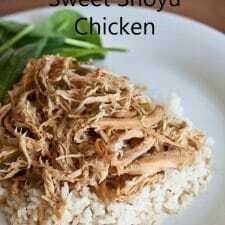 Use the Recipe-by-Photo Index Page for Fruit to see all the slow cooker fruit recipes that have been featured on this site. Many people don’t think about using the slow cooker to make desserts, but having dessert in the CrockPot can be an easy way to enjoy a meal when you’re entertaining without having to fuss while guests are there. I think Slow Cooker Poached Pears in Caramel Sauce from The Perfect Pantry looks like a perfect dessert recipe for easy entertaining. 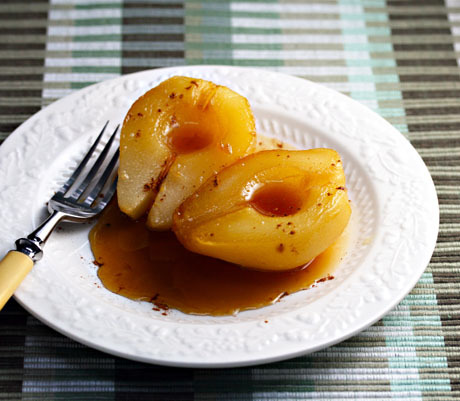 Get the complete recipe for Slow Cooker Poached Pears in Caramel Sauce from The Perfect Pantry. Use the Recipe-by-Photo Index Page for Fruit to see all the slow cooker fruit recipes that have been featured on this site.